Born in Essex in 1972, Stuart studied Three Dimensional Design in Thurrock Technical College from 1989-91. He furthered his studies in Three Dimensional Design at Manchester Metropolitan University from 1991-95 majoring in wood, metal, ceramics and glass. In 1995 he moved back to London where he worked as a prop maker for various art houses producing props and scenic backdrops for T.V. commercials, Pop videos, and West End Theatre productions. During this time he worked on the final series of Spitting Image, taught himself sign-writing and began producing large-scale murals for restaurants, hotels and nightclubs. On moving to Ireland in 1998 Stuart continued to produce large-scale murals for country houses, pubs, restaurants and creches while also building a large domestic clientele. During this time, Stuart has travelled throughout America producing paint finishes for a chain of Irish pubs and has also produced murals in Portugal, London and Manchester. His move also enabled him to work in Irelands Theatre, Film and Television industry- building props and scene painting for RTE and many independent production companies. His work can be seen on shows as diverse as Podge and Rodge, The Dunphy Show and Jason Byrne’s Out of the Box. 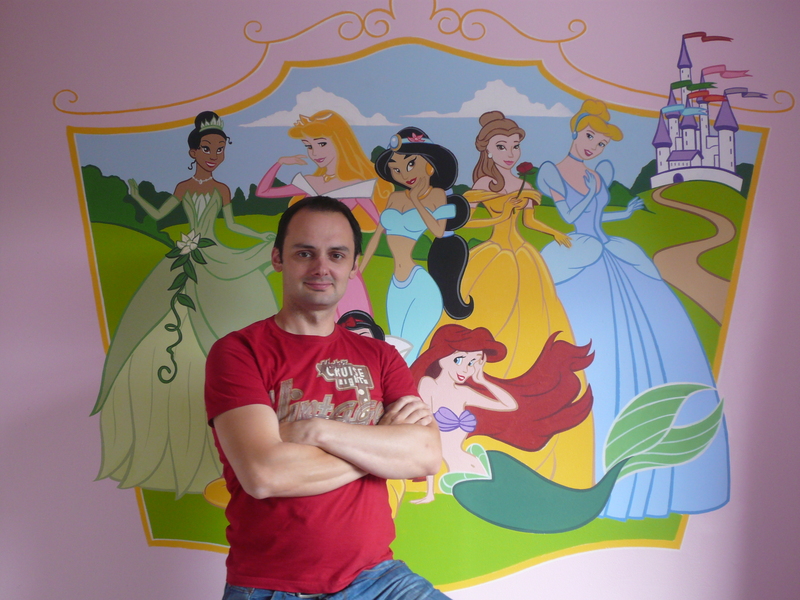 Stuart is based in County Meath and continues to work throughout Ireland and abroad producing murals and artwork for loyal clientele and new customers alike.